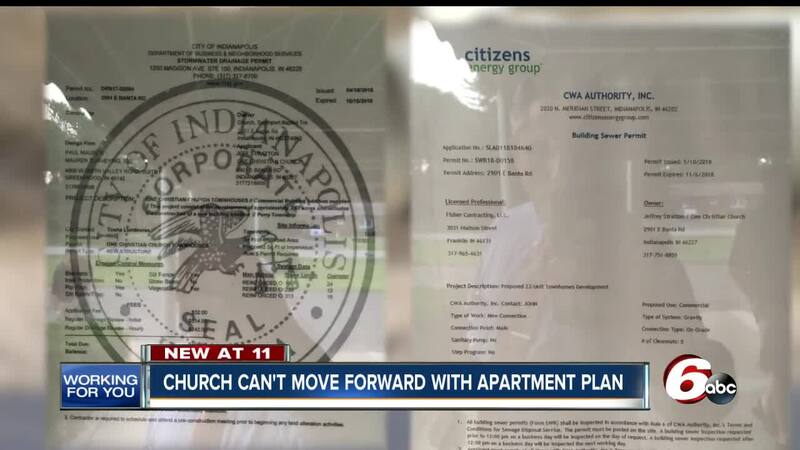 INDIANAPOLIS -- After some neighbors in a Perry Township neighborhood worked to stop proposed apartments near a church, the City of Indianapolis has ruled that construction can't continue. 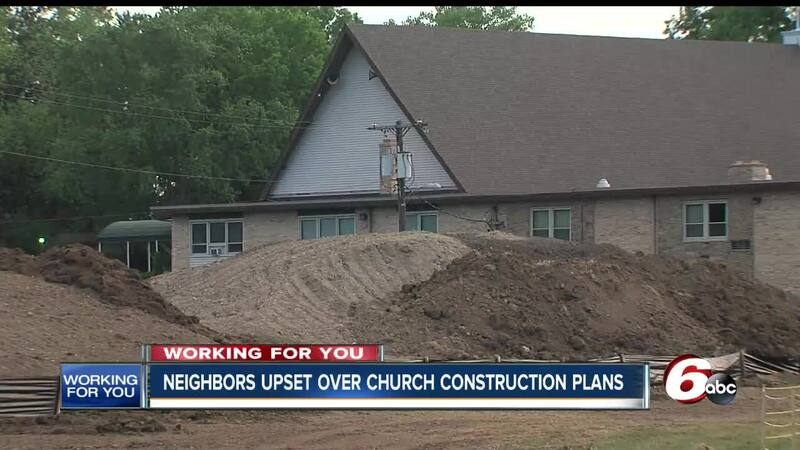 Jeffrey Stratton, the teaching and administrative pastor of One Christian Church at 2901 E. Banta Road, wants to build apartments for members of his church. He wants 23 units for senior citizens, with an exception for a member of the church with cerebral palsy. Stratton and the church already have the approval to connect sewage and an approved stormwater drainage permit, so digging on the site has started. He does not yet have a permit for the actual construction. But the Indianapolis Department of Metropolitan Development says in order for the construction to move forward, Stratton will need to apply to have the property re-zoned for the housing project, or apply for a zoning variance. Stratton had previously said he had been working with the city and did not think he needed a variance or re-zoning. "I'm just trying to do what I think my God tells me to do in scripture," Stratton said. "If I'm not taking care of widows and orphans, then I've got a problem." Janice Davis lives next door to the church. She said she's heard humors about the build, but assumed she'd be notified before the digging started. Davis has reached out to her City-County Council member and collected hundreds of signatures on a petition to try and stop the build. "This is not a place for an apartment building," Davis said. Stratton said he didn't hold a meeting to discuss his plans. "I'm sorry," Stratton said. "If I could go back in time and have a meeting and try to talk this out I would do that." Some neighbors say they feel betrayed by him and the church, Davis said. For now, the work is on hold. Stratton is hoping to move residents in by December. He already has 14 people signed up. If completed, the units would be $690 per month for one bedroom, or $920 per month for two bedrooms. The cost includes water, sewage, internet, and TV. Stratton said he's not building the apartments to make a profit, but says if they do make money, he'll pay the taxes on them. "We're gonna fight it," Davis said. "If he gets it built, he gets it built and we'll move on."